Should you return to E.D.N III? I must admit I was a little amazed that Lost Planet got a third game after the mixed response of Lost Planet 2 which I found to be a fun, but frustrating experience. But to be honest, its best if you’ve never played a game in the series before as it takes away some of the frustration and is actually a prequel to the original game so E.D.N III hasn’t been terraformed and is an icy wasteland in which you play as Jim Peyton, an engineer who is working with the evil corporation NEVEC to get pay checks to send to his wife and unborn child. It’s a tale that shows quite a surprising amount of humanity, Jim is a nice guy and his story is endearing but the drama surrounding the events on E.D.N III feels a bit “by the numbers” and isn’t exactly full of surprises, nor does it offer much of a worthwhile ending. The game is definitely more story focused with its missions as Jim kills Akrid on foot or in his Rig, but with only a handful of side missions…there isn’t a whole lot to the formula other than kill X amount of Akrids in an area and fixing things with your rig. The game is incredibly linear from start to finish and as a third-person shooter it is serviceable with its mechanics, but rolling around to avoid enemy attacks constantly does get a bit silly after a while and fighting off gigantic bosses with a shotgun is too. The rig/mech handles stiff and acts more like a QTE during combat, but it’s a means of transport to locations through E.D.N III and is sadly necessary. Multiplayer isn’t too shabby but it’s nothing particularly special. It tries to be different with its progression system and modes like a moving enemy that acts as a flag or a mode where players work together to eliminate enemies and then try to beat each other for control of the area, it’s fun but its short-lived and becomes old quickly. It doesn’t help that the game isn’t exactly great visually either, not to mention load screens at almost every turn. The voice acting isn’t that bad, but there are definitely a number of awkward moments between characters. 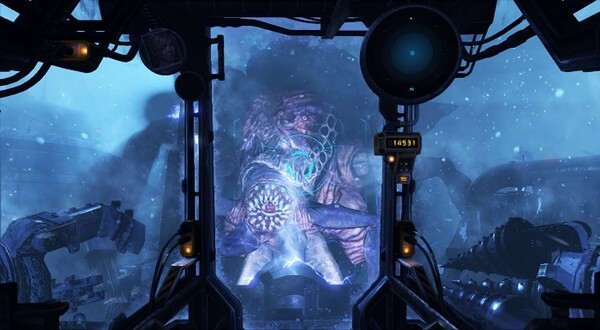 The third Lost Planet felt like a last chance to save the series, but it just never lives up to anything and is dull in comparison to other shooters on the market. 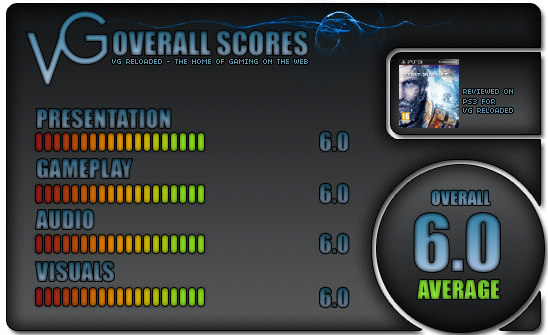 The combat is average, the story isn’t that bad but standard overall and the multiplayer isn’t anything new. The problem with the game is that it takes absolutely no risks and therein lies the issue, maybe if it did it would have stood out more than just being a bog standard third person shooter, which it sadly is. 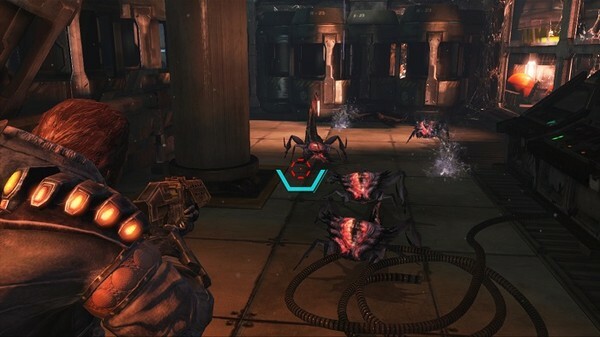 VG-Reloaded Review: Lost Planet 3 (PS3) | Video Games Reloaded – Xbox 360, PS3, Wii U, 3DS, Vita, PC News and Reviews!